Chicago is known as "The Windy City" but not because of the strong gusts coming off of Lake Michigan or the wind tunnels created by the tall buildings. But the origin of the term seems to come from an 1876 article in the Cincinnati Enquirer referring to city boosters and politicians who were full of hot air. When you're ready to meet in Chicago, turn to Monster Displays for your trade show needs. 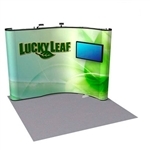 Contact Monster Displays at (888) 483-3344 to discuss the things you need for the perfect trade show experience. Monster Displays is the full-service trade show display and exhibit design provider you need if you plan to meet in Chicago. 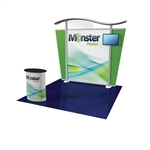 Monster Displays can provide a custom designed display, a modular exhibit pop-up system, a portable display, a table top display or more. And you can be assured Monster Displays can deliver this at competitive prices. While Chicago is easily accessible from most of the country, there's no need to ship all of your materials for a display when you can rent a unique and professionally designed exhibit display from Monster Displays. Whether you're looking for modular displays, kiosks or more, this can all be designed to meet your company needs and stay within your company budget. Over a decade of experience in the business gives you the assurance that Monster Displays can bring to your event professionalism and experience to make your trade show experience rewarding and virtually trouble free. 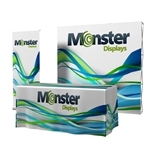 MonsterDisplays.com is your preferred source for visual marketing solutions and promotional marketing strategies. McCormick Place in Chicago draws close to three million visitors annually and is one of North America's most prominent and most-used convention centers. The four state of the art buildings of McCormick Place are accessible within minutes of Chicago's downtown. Together the buildings, the Lakeside Center, the West Building and the North and South Buildings combine to give great space and an amazing experience for trade show and convention attendees. McCormick Place offers a staggering 2.6 million square feet of exhibit halls, half of which are located on one level. Add to that a total of 600,000 square feet of meeting room space covering 170 meeting rooms and 6 ballrooms. There's also a 4,249 seat theater and space for an assembly gathering of 18,000 people. Three additional theaters seat 500 each. With ceiling heights up to 50 feet the space can easily accommodate large exhibits. All of this is available along with 5,800 parking spaces. 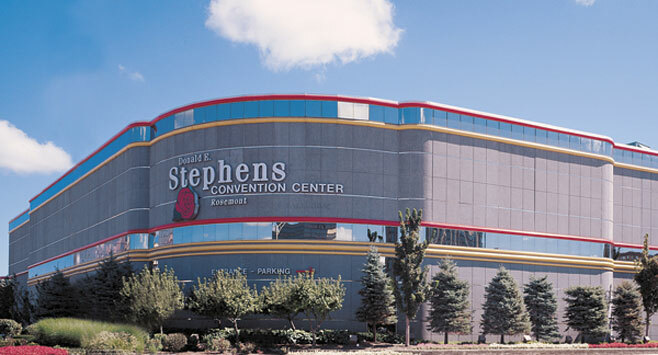 Just minutes from O'Hare International Airport, the Donald E. Stephens Convention Center in Rosemont, Illinois is not only a first class convention center but also houses the Donald E. Stephens Museum of Hummels. Stephens, for whom the center is named, founded the Village of Rosemont in 1956. He served as mayor until his death in 2007. 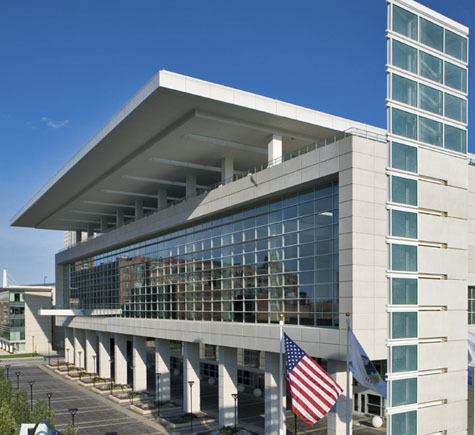 The interior of the Donald E. Stephens Convention center has 840,000 square feet of space and can hold more than 1,200 exhibit booths. Six meeting halls have ceilings ranging from 16 to 26 feet, all but one with unlimited floor loads. A 30,000 square foot lobby is perfect for event registration. The center also includes concession stand setups and a camera security system. All the electrical, water and phone service you will need are readily available along with access to High-speed, DS3 fiber optic Internet. Download a PDF copy of the Floor Plan. While the nickname "Windy City" may not refer to the winds off of Lake Michigan, winters in Chicago can be particularly harsh and cold. Expect that to be followed by a rainy spring and a summer where temperatures can reach up into the 90s. If you want to know what trade shows and events are coming up in Chicago, follow this link. Centrally located in the United States, Chicago is easily accessible by air, rail and highway. Chicago O'Hare International Airport is the fifth busiest airport in the world. Flights out of O'Hare reach more than sixty international destinations. The airport is located in northwest Chicago. United Airlines is the major carrier through O'Hare. Chicago Midway International Airport is located on the southwest side of the city. The major carrier through Midway is Southwest Airlines. Chicago is a main hub for Amtrak and most cross country train trips will pass through there. Amtrak trains to Chicago arrive downtown at Union Station. Buses: Chicago Transit Authority operates the bus line in the city and provides access to the City of Chicago and thirty-five suburbs. This is the nation's second largest public transportation system. Trains: The Illinois Regional Transportation Authority operates Metra which serves the Chicago area with eleven different rail likes. Metra also connects in several locations with Chicago L, nicknamed for the elevated rail system. Other: Yellow Cab Taxi offers a fleet of 1700 taxis for getting around the city. They're available on the street corner, by phone or by text. Almost 600 hotels are available in the Chicago area, ranging from first class accommodations on The Magnificent Mile, the Hyatt Regency McCormick place and endless options connected to downtown, or the major airports. 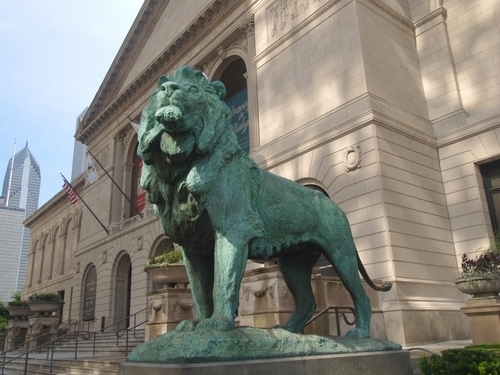 Major Attractions: Points if interest in Chicago include the Art Institute of Chicago, Shedd Aquarium, Willis Tower (formerly the Sears Tower), John Hancock Center and the Chicago Cultural Center. 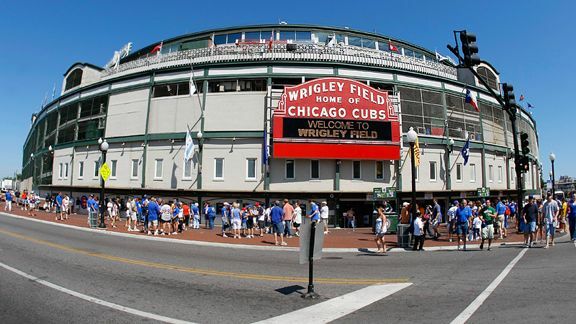 Major Entertainment Centers: For the best in entertainment don't miss Wrigley Field, Chicago Theatre and of course the United Center home to the Chicago Blackhawks and the Chicago Bulls. Shopping in Chicago: Chicago's Magnificent Mile is legendary for shopping opportunities, but Chicago's Loop includes the State Street Macy's that's not only shopping but history as well. Close by in Chicago: Check out the Illinois Railroad Museum, Six Flags Great America, Matthiessen State Park and Starved Rock State Park, and the Chicago Botanic Garden. Famous Food & Beverages: Chicago is known for great gourmet dining experiences, but don't forget the deep-dish pizza, Chicago-style hot dogs and Italian beef. Ferrara Pan Candy makes Atomic Fireballs, Red Hots and Ferrara Chocolates. Home of the Union Stock Yard in the 19th and 20th Centuries, Chicago remains one of the finest cities in the world for steak with steakhouses like Gibson's, Harry Caray's and Smith and Wolensky's.